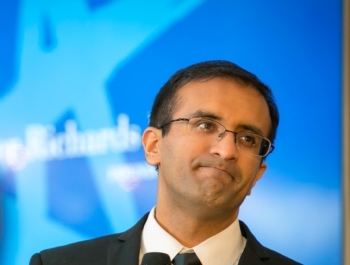 Dr. Raj Panjabi, 36, is a co-founder and the chief executive of Last Mile Health, a charity that brings medical care to some of the most remote corners of Liberia. Earlier this year, he was awarded both the Skoll Award for Social Entrepreneurship — an honor worth $1.25 million — and the $1 million TED Prize. Dr. Panjabi, who teaches at Harvard Medical School, plans to use the money to finance the training of community health workers in Liberia and other developing countries.